How are aldermanic candidates trying to get their messages across in Chicago's 41st Ward? I made a survey this morning of the various places on the Internet where candidate information could be found. If this is incomplete, it is solely because of my inadequate computer skills and not because of any intentional omission or intended slight. Candidates are listed in ballot order as per the Chicago Board of Elections. I was unable to find any dedicated campaign sites. Mr. Merck has asked that I post this website link and personal Facebook page. He also has posted videos on YouTube. Here is a representative example. The blawg Popehat was one of many outlets to cover a story a couple of weeks ago about a California mother who is suing McDonald's to ban toys in Happy Meals. The gist of the mother's claim is that her daughters (ages 6 and 2) harass her on a daily basis to buy them Happy Meals. This, she alleges, makes her decidedly unhappy -- and has caused her emotional distress to boot. The California plaintiff, Monat Parham-Lee, purports to represent a class of unhappy mothers. She is represented in her suit, according to the Popehat post, "by attorneys affiliated with" the Center for Science in the Public Interest, an organization dedicated to 'transforming the American diet.' And, Popehat advises, the California plaintiff is also employed by the "'Cancer Prevention and Nutrition Section' of the California Department of Public Health" and is "tasked, professionally, by the State of California with ensuring that Californians eat their vegetables. The power that the State of California grants Monet Parham-Lee evidently is not enough. Monet Parham-Lee is taking the law into her own hands, to ensure that not only her own children eat their vegetables, but that everyone else is forced to make their children eat vegetables." Parham-Lee tells the press that she has said "no" when her kids request more frequent visits to the Golden Arches, but that the demands continue. Popehat suggests that Parham-Lee should continue to just say no. I would add that, if Ronald McDonald seems, in her judgment, to exert too great an influence over her impressionable children, Ms. Parham-Lee might limit how much TV the kids watch. When household necessity requires that the offspring be situated in front of the one-eyed monster, perhaps a DVD could be substituted for the 100th rerun of "SpongeBob SquarePants." Ms. Parham-Lee might consider something from the "Veggie Tales" series appropriate. Changing the channel to avoid unwelcome marketing pitches seems a more appropriate response than presuming to file a class action suit. Related: McDonald's suit over Happy Meal toys by California mom Monet Parham new low in responsible parenting (Op-Ed piece in the December 15 New York Daily News by Walter Olson of Overlawyered.com. See also, Happy Meal lawsuit, cont'd, a December 17 post on Overlawyered.com. This ruling invites, once again, an increase in medical claims, along with the higher insurance premiums for doctors that such cases precipitate. In fact, a study conducted in the wake of the high court’s decision to strike down limits on noneconomic damages calculated the impact to be an immediate 18% jump in physician medical malpractice insurance premiums. Over time, and depending on the volume of claims and award amounts, this number may grow much higher. Ultimately, such increases in the level of new litigation and insurance premiums will affect residents’ access to affordable health care as physicians scale back practices, particularly in high risk areas, or opt to move their practices to states with reasonable limits on liability. A recent survey found that half of Illinois medical students plan to practice in other states. As reported by the Chicago Sun-Times, 7 out of 10 of those choosing to practice elsewhere cited the state’s anti-doctor liability climate as a factor in their decision. It may not be possible for a mere blogger to investigate the reasons underlying increases in medical malpractice premiums or even to verify the extent of any increases that have taken place. However, it was widely reported that many Illinois medical students plan to practice somewhere other than Illinois. Carolyne Krupa's December 3 article for amednews.com cited a recent study by the Northwestern University Feinberg School of Medicine as the source of these statistics. It occurred to me that some other statistics in 2010 Illinois New Physician Workforce Study might provide some context and, perhaps, some insight into these figures. More than a quarter of the study respondents came to Illinois medical schools fully intending to leave as soon as they finished their studies. Only 9.3% of the respondents said they had planned to remain in Illinois at one time but have since changed their minds. Interestingly, fully one in five respondents said they could not find an acceptable job in Illinois. Many of the respondents indicated they plan to leave Illinois to return to a home state or to be near family or friends. However, malpractice insurance rate concerns were mentioned repeatedly as a reason to practice outside of Illinois. Respondents emphasized extreme displeasure regarding the costs of employment in their fields in Illinois. Specific reasons for practicing elsewhere included the high costs for medical malpractice insurance, but also included what they perceived to be oversaturation of the Chicago market, low salaries in relation to the high cost of living and insurance rates, and intense demand from employers regarding work hours and productivity. Funding structures are another concern of new physicians. Some indicated discouragement with the pay structure of Illinois’ Medicaid program. Lower cost of living, higher reimbursement for physicians, lower income taxes, better compensation elsewhere, a more physician friendly environment, better opportunities for foreigners, cultural issues, research opportunities, and easier licensing restrictions are all factors that weigh in on respondents’ choice of location for practice. A few indicated that specifically Chicago and Illinois politics are driving them out of the state. Others said they wished to be able to practice medicine in an environment where the physicians are not practicing defensive medicine. One of the more interesting facts that emerges from the Northwestern study is that most Illinois medical students aren't from Illinois in the first place. According to the Northwestern study (Table 3, p. 17), only 36.9% of Illinois medical students graduated from an Illinois high school. Of these Illinois 'natives,' 74.4% plan to remain in Illinois to practice. Meanwhile, 36.8% of medical students who went to high school outside of Illinois plan not to return to their places of origin. In other words, Illinois keeps three of four Illinois kids who stay in-state for medical school, but only one of three kids who come to Illinois from somewhere else. If we're interested in keeping more Illinois medical graduates in Illinois, one logical response to this information might be to recruit more Illinois natives to our medical schools. Laura Cha-yu Liu will be sworn in today as a Cook County Circuit Court judge. The Illinois Supreme Court appointed to an 8th Subcircuit vacancy in an order entered Tuesday. The appointment terminates December 3, 2012. At the time of her appointment, Liu was a partner in the firm of Hogan Maren, Ltd. An Illinois attorney since 1991, Liu is a graduate of the University of Cincinnati Law School. Her undergraduate degree, in "combined science" was conferred by Youngstown State University. According to her firm biography, Liu routinely handled "claims involving contract disputes, business and personal torts, federal civil rights, employment discrimination and retaliatory discharge, insurance coverage, and labor relations and collective bargaining. She also served as a Special Assistant Attorney General in a First Amendment lawsuit seeking an injunction to legislation involving regulation of video games in Illinois." Also per the Hogan Maren biography, Liu "has extensive experience in assisting healthcare providers with managed care contracting, federal false claims and whistleblower litigation, civil antitrust claims and investigations, and Medicare and Medicaid reimbursement." Liu is a member of the Illinois Association of Healthcare Attorneys, and an Associate Member of the Illinois Association of Park Districts and the Township Officials of Illinois. She was a member of the 2008 National Democratic Convention Rules Committee. Her bar association memberships include the Chicago Bar Association, the Asian American Bar Association, and the Women's Bar Association of Illinois. The American Tort Reform Association has released its annual list of Judicial Hellholes and, once again, Cook County is prominently featured. The catchy name and scary graphics almost guarantee press coverage and strong reaction. The report hasn't made a big splash in the Chicago papers as of yet, but then again, the report was just released this week. The Daily Herald noted the pending release of the "Judicial Hellholes" report this week with a story, by Ted Cox, quoting Thomas Demetrio (speaking "only partially tongue in cheek") as saying that ATRA's poor ranking of our local courts should be viewed as a "badge of honor." Actually, Cook County's rating slipped a little in the current report. In ATRA's 2009 ratings, Cook County was the third worst jurisdiction in the country. This year, we were no better, or worse, than fifth. ATRA blames judges for making jurisdictions into "hellholes." According to this year's report (p. 26), "Judicial Hellhole judges... may favor local plaintiffs’ lawyers and their clients over defendant corporations. Some, in remarkable moments of candor, have admitted their biases. More often, judges may, with the best of intentions, make rulings for the sake of expediency or efficiency that have the effect of depriving a party of its right to a proper defense." Cook County has "consistently hosted nearly two thirds of the state’s litigation, while serving as home to just over 40% of its population – a proportion that has gradually grown more lopsided over the past 15 years"
The ATRA folks suggest an image of greedy tort lawyers are descending on Chicago from all over the country, plotting to take unfair advantage of our biased courts and generous juries. But the Cook County court system handles a lot of cases -- and most of them are decidedly not tort cases. Collection cases make up a huge percentage of the county docket -- at least a dozen collection cases are filed for each tort case (and medical malpractice and product liability claims make up only a small percentage of the tort cases filed in this or any other American jurisdiction). A lot of the collection cases filed here are tied to one of our larger industries, namely the commodities business. Cook County is often the venue of choice for commodity firms. Persons living from Maine or California routinely consent to be sued in Chicago if they fail to meet a margin call and a deficit remains when their trading accounts are liquidated. Readers are invited to supply other examples in the Comments. But it is neither surprising nor sinister that there would be disproportionately more litigation in a world class financial center, such as Chicago, relative to the rest of the state. In February the Illinois Supreme Court affirmed "a Cook County judge’s ruling that struck down a 2005 law limiting subjective pain and suffering damages in medical liability cases." The reference is to Lebron v. Gottlieb Memorial Hospital, 237 Ill.2d 217, 930 N.E.2d 895 (2010). In this case, the court struck down "caps" on medical malpractice verdicts. This was the third time that the Illinois Supreme Court has invalidated an effort to put "caps" on malpractice verdicts. In other words, the court followed its settled precedent. It's usually the failure to adhere to stare decisis that gets the business groups up in arms about the judiciary. The report makes some additional claims about the likely effect of Lebron that will be addressed in a future post. Suit was filed against a Cook County McDonald’s in August 2010, alleging that her hot chocolate was too hot. But no award has been made. The new suit was still pending when the report went to press. A woman is suing an Ohio vacuum cleaner manufacturer for $200,000 because it sucked hair off the back of her hand. Again, however, the report does not suggest that the suit has succeeded, only that it has been filed. A factory worker received a $30.4 million verdict in a "popcorn lung" suit alleging "that exposure to an ingredient used in the making of butter-flavored microwave popcorn can cause injury to the lungs." The articles make clear that Solis sued 15 companies and one trade organization and that every single defendant except BASF settled out before trial. The amounts of the settlements were not disclosed. At trial, according to O'Donnell's article, Solis put on evidence that, back in 1993, BASF's German parent, did a "study on rats that showed diacetyl caused lung damage but did not disclose the findings." According to the Tribune article, "diacetyl is a naturally occurring compound that gives [microwave popcorn] butter its flavor. Studies have shown that the heated vapors of the chemical diacetyl lead to a breakdown of the airway branches deep in the lungs. The lung scarring is irreversible and can be fatal. " California and the Federal Drug Administration are considering a ban on the chemical and OSHA is considering rules limiting worker exposure to the chemical, although no bans or rules have yet been promulgated. The Sun-Times noted that BASF was planning an appeal from the verdict. The ATRA report concludes its review of Cook County (p. 11) by charging that such "rampant abuse of the civil justice system" comes with costs, citing, as an example, that Cook County spent $54 million on litigation involving just the county and its various agencies an amount that "dwarfs counties of similar size in the state and beyond." Actually, there are no counties of 'similar size' in Illinois, and few in the nation -- but it may well be that there may be other reasons, such as pinstripe patronage, that explain the high price tag -- not necessarily (or not exclusively) "the county’s 'infamously plaintiff-friendly courts.'" Nor is ATRA optimistic about the future of the Cook County court system (p. 11): "[A]mazingly enough, Cook County voters and taxpayers also seem content with the status quo. Though several neutral legal groups deemed four circuit court judges unqualified for the bench, all were narrowly retained by voters in November 2010 elections." For more background about the American Tort Reform Association, please turn to page two. The Illinois Supreme Court has appointed Jean M. Prendergast to a Circuit Court vacancy that will open up with the forthcoming retirement of Judge Daniel E. Jordan. Prendergast's appointment is effective December 3, 2010 and will terminate December 3, 2012. Currently a shareholder with Schuyler, Roche & Chrisham, P.C., Prendergast is a 1994 graduate of the Loyola University School of Law. After graduation, Prendergast clerked for then-Appellate Court Justice (and now Supreme Court Justice) Mary Jane Theis and, later, for Supreme Court Justice Mary Ann McMorrow. Prendergast currently serves as President of the Appellate Lawyers Association. Her predecessor in that position was Gary Feinerman, now a United States District Judge in Chicago. Before appointing Prendergast to a judicial post, the Illinois Supreme Court had asked Prendergast to serve on the Court's Committee on Character and Fitness, becoming Chairperson of the Committee in the First District this year. The Illinois Supreme Court has appointed Chicago Alderman Thomas R. Allen (D-38) to the countywide vacancy that will be created next month by the elevation of Cook County Circuit Court Judge (and former Circuit Court Clerk) Aurelia Pucinski to the Illinois Appellate Court. 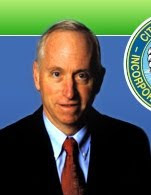 Allen's appointment is effective December 6 and will terminate December 3, 2012. In addition to serving as Alderman of the Northwest Side 38th Ward, Allen has been a partner in the Chicago law firm of Chapekis, Marcus, Allen and Chapekis. An attorney since 1977, Allen, like newly-appointed jurist Tommy Brewer, was a candidate for Cook County State's attorney in 2008. The Chicago Tribune reports on this appointment. The Illinois Supreme Court has appointed Tommy H. Brewer to the vacancy in Cook County's Seventh Judicial Subcircuit created by the recent retirement of Judge Cheryl A. Starks. Brewer's appointment was effective November 1 and will terminate on December 3, 2012. Brewer had a law office in the Loop at the time of his appointment. Brewer ran for Cook County State's Attorney in 2008 and 2004; he also ran a number of times for the office of Cook County Sheriff. Who's doing best in the retention races? I mentioned earlier that all Cook County judges on the retention ballot appear to have kept their jobs this evening -- but, as I mentioned in a September post, no matter how highly regarded the judge, no matter how many endorsements or favorable bar association ratings, it is rare indeed for any sitting judge to receive more than an 80% favorable rate. Put another way, it appears that two of every ten voters will "just say no" to each and every sitting judge. The pattern appears to be holding tonight. Quickly scanning City and County returns, Judge Carol A. Kelly, who received favorable ratings from every bar association, has received just under an 80% "yes" vote (79.7%). Judge Sharon Marie Sullivan, who has also received favorable ratings from all the bar associations, has a 78.25% "yes" vote. These two jurists appear to be leading the pack among the retention candidates. The votes aren't all in, but it looks like all Cook County Circuit Court judges seeking retention will be retained in office. I've used the Dorothy F. Jones retention race as a bellwether because every single bar association urged that she not be retained, as did the Tribune, the Sun-Times and the Judicial Performance Commission of Cook County. If Judge Jones could hold on in the face of this united opposition, it follows (I believe) that all the retention judges will prevail. As of this writing, Judge Jones is holding on with a 63.15% favorable vote, 381,744 "yes" votes to 222,788 "no" votes. More to come as the evening goes on. Schleifer's appointment is effective November 16, 2010 and terminates December 3, 2012. 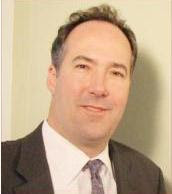 Schleifer is currently the principal of Andrea M. Schleifer & Associates, P.C. A 1979 graduate of the Loyola University of Chicago School of Law, Schleifer is a Past President of the Decalogue Society of Lawyers and a former member of the Board of Governors of the Illinois State Bar Association. Schleifer has also been a volunteer for Chicago Volunteer Legal Services for over 25 years, serving on its board of directors between 2003 and 2009. Individuals seeking appointment to the office of Associate Judge of the Circuit Court of Cook County have until November 1 at 5:00pm to submit their completed applications to the Administrative Office of the Illinois Courts, 222 N. LaSalle Street, 13th Floor. Application forms are available online, from the AOIC, or from the Office of the Chief Judge on the 26th Floor of the Daley Center. Additional information can be found in the Chicago Daily Law Bulletin. Full disclosure department: I submitted my own application for Associate Judge today. The Illinois Judges Association has issued a statement deploring what it sees as "unfair criticism" of Supreme Court Justice Thomas L. Kilbride by "special interest groups" seeking to prevent Kilbride's retention next Tuesday. A complete copy of the IJA's press release is reproduced in full on Page Two of this blog. Despite the various pro- and anti-Kilbride commercials that are airing on Chicago radio and television stations, Kilbride is not on the ballot in Cook County. Kilbride, who becomes Chief Justice of the Illinois Supreme Court tomorrow, due to the resignation of Chief Justice Thomas R. Fitzgerald, will be on the ballot in the 21 counties that together comprise the Third Appellate District. Will, Grundy, and Kankakee Counties are the counties closest to Chicago where Justice Kilbride will be on the ballot. The IJA does not name the "special interests" that are seeking Justice Kilbride's ouster, but the reference is presumably to JUSTPAC, the political action committee of the Illinois Civil Justice League. The ICJL is the sponsor of the IllinoisJudges.net page that is frequently linked from this blog. Edward D. Murnane is the President of the ICJL and a member of the board of directors of the American Tort Reform Association (ATRA). According to Michael Smothers' October 23, 2010 article in the Pekin Times, when Kilbride sided with the majority upholding "a previous high court ruling that found a statute limiting plaintiffs’ damages in medical malpractice lawsuits unconstitutional, Murnane vowed to 'raise as much money as we can' to unseat him." The case to which Smothers refers is Lebron v. Gottlieb Memorial Hospital, 237 Ill.2d 217, 930 N.E.2d 895 (2010). Smothers continues, "Kilbride’s campaign had to reply in kind, and a multi-million-dollar battle of political advertisements was engaged." Justice Kilbride was elected to the Illinois Supreme Court in 2000 and is completing his first term. Justice Kilbride is regarded as a knowledgeable, thoughtful, prepared, and hard working judge. He is considered to have the highest integrity and moral character. As a Justice, he has advanced professionalism and diversity, continuing legal education, and pro bono reporting. He also spearheaded a judicial education program that he presents to Illinois schools and civic organizations. Prior to becoming a judge, Justice Kilbride practiced law for over twenty years in the Quad Cities area. The ISBA Committee for Judicial Evaluations recommends “yes” for Justice Kilbride’s retention. The Standing Committee finds that the “JUSTPAC” campaign directed at Justice Kilbride is inappropriate and distorts his record. As such, it reflects negatively on the integrity and independence of the judiciary. Specifically, based upon the advertisements reviewed by the Standing Committee, we find that “JUSTPAC” has distorted the record and rulings of Justice Kilbride by characterizing him as allegedly soft on crime and criminals. The Chicago Tribune and the Chicago Sun-Times have both endorsed Kilbride's retention bid. Justice Kilbride's campaign website may be accessed by following this link. The Chicago Sun-Times posted a comprehensive table on its website Saturday showing both the Chicago Bar Association and the Alliance of Bar Association ratings, side-by-side, for both the judicial retention candidates and the almost entirely unopposed judicial election candidates. That's a link to the Sun-Times site in the preceding sentence; sadly, my HTML skills are inadequate to reproduce the table here. However, you'll find links to the Alliance grids for the retention judges, the CBA Green Guide, the Chicago Council of Lawyers Evaluation Report, the report of the Judicial Performance Commission of Cook County, the Cook County Retention Judges' own website, and candidate responses to questionnaires posed by both the Tribune and the Illinois Civil Justice League -- all in the Sidebar of this blog. Most overwhelmed voters skip [the judicial races], or worse, just pick the names they like. Each election cycle, a dozen bar associations invest hundreds of hours evaluating Illinois judges for us. They do all the work and simply ask us to spend a few minutes making an informed choice. Don't let that good work go to waste. On our website, you'll find charts laying out how different bar associations rate judges. The good news is that they largely agree on the lemons. 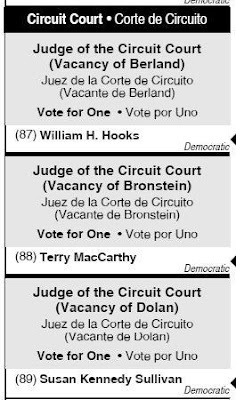 Based on their recommendations, the Chicago Sun-Times is urging voters to toss three Cook County Circuit Court judges: Susan Jeanine McDunn; Dorothy F. Jones, and James "Jim" Ryan. We're also urging yes votes for three quality Illinois Supreme Court Justices: Charles E. Freeman, Thomas Kilbride and Bob Thomas. The Illinois Supreme Court has appointed Chicago attorney Stanley L. Hill to a Cook County Circuit Court vacancy created by the retirement of Judge Claudia Grace Conlon. Hill's appointment is effective December 15, 2010 and will terminate December 3, 2012. Currently, Hill is the principal of the West Loop firm of Stanley L. Hill & Associates, P.C.. A 1973 graduate of the University of Michigan Law School, Hill got his undergraduate degree in 1970 from the Medill School of Journalism at Northwestern University. 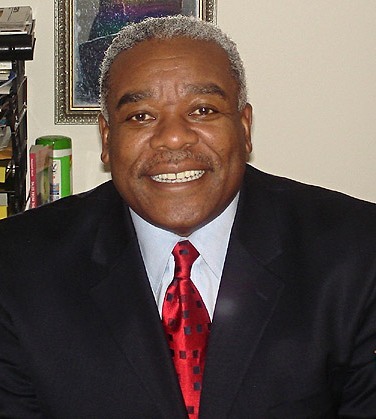 Hill is a former president of and current member of the Board of Directors of Ada S. McKinley Community Services, Inc. He is also a yachtsman, presently serving as Rear Commodore of the Chicago Yachting Association. The Chicago Tribune made its Cook County Circuit Court judicial recommendations in its October 9, 2010 editions, but I wanted to see whether the Chicago Sun-Times made different recommendations and report on them together. The Sun-Times weighed in this morning, and both papers are urging a "no" vote on the retention bids of three Cook County Circuit Court judges. The Tribune states, "Judge Dorothy Jones has been on the bench for 18 years, but hasn't improved with time. She shows her contempt for the public by refusing to be evaluated by local bar associations, which give a professional assessment for voters' use. The bar groups have found that Jones has very poor legal skills and acts unprofessionally on the bench." The Sun-Times says, "Dorothy Jones' arrogant claim to fame every six years is to be the only judge who refuses to even submit her credentials to the bar groups for evaluation. But, then, perhaps she is well aware she would never make the grade." The candidate declined to participate in the Judicial Evaluation Committee (JEC) screening process and, therefore,according to The Chicago Bar Association's governing resolution for the JEC, is automatically found NOT RECOMMENDED. Judge Dorothy Jones refused to participate in the evaluation process. The Council finds her Not Recommended for retention. Because Judge Jones chose not to participate in any bar evaluation process, she was rated not qualified or not recommended by each of the bar associations announcing ratings. The Judicial Performance Commission does not recommend Judge Dorothy F. Jones for retention. Biography: Dorothy Jones graduated from DePaul University College of Law and was admitted to practice in 1979. Judge Dorothy Jones was elected to the Circuit Court in 1992. She is currently assigned to a primarily pro se call in the First Municipal District. Prior to election, she was an assistant public defender in Cook County. Summary: The Commission found predominantly unfavorable impressions of Judge Jones in the legal community. The investigation revealed a lack of clarity and consistency in her decisions, as well as questions about her temperament and ability to manage the courtroom. Although Judge Jones has a reputation for honesty and efficiency, the Commission does not feel those qualities outweigh the deficiencies of performance, temperament and management found in the investigation. Judge Jones was invited to respond to questionnaires from the Chicago Tribune and the Illinois Civil Justice League. She did not respond to either. As of this writing, Judge Jones has also not submitted anything to the Cook County Retention Judges website. The Tribune says, "Shortly after Judge Jim Ryan was elected, he refused to answer questions in a deposition that was part of an investigation into alleged beatings of inmates at Cook County Jail. Ryan had been a top aide and legal adviser to former Sheriff Michael Sheahan. A judge asserting his constitutional right against self-incrimination shows, we suppose, at least passing knowledge of the law. But it sure doesn't inspire confidence. The Council of Lawyers says it has found "certain misstatements and omissions" from Ryan about his judicial assignment. Some lawyers report his courtroom behavior is "an embarrassment." James J. Ryan has similar deficiencies [to Judge Jones]. The CBA says Ryan "does not possess the requisite legal knowledge, ability and temperament" to be a judge. The Chicago Council of Lawyers, commenting on the real reason Ryan was pulled from an assignment in the Bridgeview courthouse, writes, "He can be short-tempered on the bench, and some [lawyers] have characterized his judicial behavior as an embarrassment." Shortly after he was elected to the bench six years ago, Ryan was questioned by lawyers about whether, as a top aide to his second-cousin Sheriff Michael Sheahan, he had helped deep-six an investigation into an alleged mass-beating of prisoners at the County Jail. Ryan, invoking his 5th Amendment protection against self-incrimination, refused to answer most questions. Judge Jim Ryan is “Not Recommended” for retention as a Circuit Court Judge. Judge Ryan was admitted to practice law in Illinois in 1992 and was elected to the Circuit Court in 2004. Judge Ryan does not possess the requisite legal knowledge, ability, and temperament to serve as a Circuit Court Judge. Judge James J. Ryan was admitted to practice in 1992 and was elected to the bench in 2004 after refusing to be evaluated by the Council. Before taking the bench, Judge Ryan was an Assistant Cook County State’s Attorney from 1993 to 1995 and was the Director of Operations and General Counsel for the Cook County Sheriff’s Office from 1995 to 2004. From 2004 to 2006 he sat in Traffic Court after which he was assigned to the courthouse in Bridgeview, where he presided over traffic and domestic violence cases. He currently hears felony preliminary hearings. His judicial career has mostly involved less complex matters. While many praise Judge Ryan's ability to manage his voluminous court call, many others report that he can be short-tempered on the bench, and some have characterized his judicial behavior as an embarrassment. In addition, the Council has uncovered certain misstatements and omissions in Judge Ryan’s evaluation material with respect to the circumstances surrounding his assignment in Bridgeview and his transfer to his current assignment. These misstatements and omissions raise concerns for the Council regarding the candidate's judgment, his candor, and his respect for the judicial screening process. Subsequent investigation of these matters did not allay the Council’s concerns. The Council finds him Not Qualified for retention. Judge Ryan did secure positive ratings from the Asian American Bar Association (AABA), Black Women Lawyers' Association of Greater Chicago (BWLA), Cook County Bar Association (CCBA), Decalogue Society of Lawyers (DSL), Hispanic Lawyers of Illinois (HLAI), Puerto Rican Bar Association (PRBA), and Women's Bar Association of Illinois (WBAI). The Judicial Performance Commission of Cook County also recommended Judge Ryan's retention. Three other Alliance members made negative recommendations, namely, the Hellenic Bar Association (HBA), Illinois State Bar Association (ISBA) and Lesbian and Gay Bar Association of Chicago (LAGBAC). Judge Ryan also did not respond to either the Tribune questionnaire or the ICJL questionnaire. Judge Ryan has also not submitted anything, at least as of the present time, to the Cook County Retention Judges website. The Chicago Tribune writes, "The Illinois Appellate Court several years ago said Judge Susan Jeanine McDunn had 'disgraced the judiciary and the people of Illinois.' McDunn tried to sidetrack two adoptions by lesbian parents, putting her personal beliefs above the law. She hasn't had such a notorious professional lapse since then. But she's still a poor judge and richly deserves to be removed." Susan Jeanine McDunn has been rebuked by an Illinois Appellate Court for conduct that, the court says, "disgraced the judiciary and the people of Illinois." Her offense was overruling an order by her presiding judge in an effort to derail an uncontested adoption by lesbian parents. The Chicago Council of Lawyers called her failure to follow adoption law ''unacceptable" and "well beyond the pale of appropriate judicial conduct." The council says McDunn continues to display an "inappropriate temperament" on the bench. The Chicago Bar Association concluded she "does not possess the requisite legal knowledge and ability" to serve as a judge. Judge Susan Jeanine McDunn is “Not Recommended” for retention as a Circuit Court Judge. Judge McDunn was admitted to practice law in Illinois in 1980 and has served as a judge since 1993. Since 2007, Judge McDunn has served in the Law Division and is considered a hard worker. However, Judge McDunn does not possess the requisite legal knowledge and ability to serve as a Circuit Court Judge. 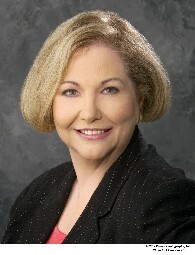 Judge Susan McDunn was elected to the bench in 1992. She is currently assigned to the Law Division. Previously, she was in the County Division and the First Municipal District. 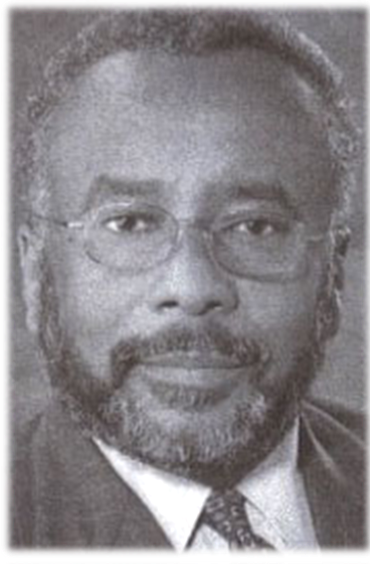 Judge McDunn was admitted to practice in 1980. Prior to election, she was in private practice. Judge McDunn is considered to have adequate legal ability. Judge McDunn was found Not Qualified for retention in 2004, having been publicly rebuked by the Illinois Appellate Court for judicial conduct the court says, “disgraced the judiciary and the people of Illinois.” The Council found her behavior in failing to follow Illinois adoption law based on her personal beliefs to be “unacceptable and fall well beyond the pale of appropriate judicial conduct.” The Council believes this behavior alone disqualifies Judge McDunn, but an evaluation conducted for the 2010 retention election revealed that many lawyers believe she has difficulty handling complex matters that come before her and that she demonstrates an inappropriate temperament. The Council finds her Not Qualified for retention. The Judicial Performance Commission does not recommend Judge Susan J. McDunn for retention. Biography: Susan J. McDunn graduated from DePaul University College of Law and was admitted to practice in 1980. Judge McDunn was elected to the bench in 1992 and seated in 1993. She is currently assigned to the Law Division. Previously, she was in the County Division and the First Municipal District. Prior to election, she was in private practice. Summary: Judge McDunn appears attentive to proceedings and is punctual for court. However, the Commission notes significant concerns about her ability to handle difficult, complex matters. She is described as unwilling to reconsider rulings when presented with additional case law and demonstrates an inappropriate temperament. The Commission received reports of the judge losing her temper and appearing unable to control her courtroom. Although the Illinois Judicial Inquiry Board concluded that Judge McDunn did not make statements against persons based upon their sexual orientation, her actions demonstrated a lack of respect for the law. There is no indication that Judge McDunn has rehabilitated her performance. Moreover, the Commission received comments from some lawyers that in light of this event, Judge McDunn does not command the respect of the legal community. Judge McDunn received "yes" recommendations from the Black Women Lawyers' Association of Greater Chicago (BWLA), the Cook County Bar Association (CCBA), the Hellenic Bar Association (HBA), and the Women's Bar Association of Illinois (WBAI). However, the Asian American Bar Association (AABA), the Decalogue Society of Lawyers (DSL), the Hispanic Lawyers of Illinois (HLAI), the Illinois State Bar Association (ISBA), the Lesbian and Gay Bar Association of Chicago (LAGBAC), and the Puerto Rican Bar Association of Illinois (PRBA) all recommended "no" votes. These cases involved adoption petitions filed by lesbian couples. In these cases, I ordered that full evidentiary hearings be held to determine whether the adoptions would be in the best interest of the children as was required by then-existing, controlling law. In these highly controversial and sensitive cases, I followed the law and upheld the rights of these children under very difficult circumstances, and despite strong opposition and pressure to do otherwise. The Illinois Courts Commission, a constitutionally created body which included an Illinois Supreme Court Justice and two long-standing Illinois Appellate Court Justices, said that I "conscientiously [applied] existing law to an unresolved question: what impact does the sexual orientation of the petitioners have on the child's best interests?" It noted that judicial canons "required [me] to uphold the independence of the judiciary and to remain unswayed by partisan interests, public clamor or fear of criticism, and stated that I fulfilled my "mandated duty of placing the best interests of the children above all others." Judge McDunn also has submitted information for the Cook County Retention Judges website which is available from the link in this sentence. My post the other day about the Supreme Court's recalling several judges to serve, including some judges who ran unsuccessfully in February's primary election, prompted an email from a reader who asked, "Whatever happened to the will of the voters? ... What about all the others who lose their elections? Please explain." The reader cited the specific example of Judge Michael Ian Bender, who was appointed to a 9th Subcircuit vacancy, but was unable to hold that seat in the primary. Judge Bender's original Supreme Court appointment expires December 6, when the winner of that primary election, Steven James "Steve" Bernstein, will be sworn in as a judge. The will of the voters will thus not be frustrated. However, the Supreme Court has concluded that Judge Bender has performed well in office and has decided to extend Judge Bender's service by recalling him. The court could have appointed Judge Bender to another vacancy. In fact, the court has just appointed another candidate from that same crowded 9th Subcircuit primary field, Mary S. Trew, to a new vacancy in that subcircuit. But the recall mechanism is authorized under Section 15(a) of Article VI of the Illinois Constitution which provides, in relevant part, "Any retired Judge or Associate Judge, with his or her consent, may be assigned by the Supreme Court to judicial service for which he or she shall receive the applicable compensation in lieu of retirement benefits." Before the mandatory retirement age for judges was struck down, the recall mechanism had been used to keep productive judges in service. But it has also been used to keep other, well-regarded jurists in office. A number of very highly regarded judges are among the more than 60 who will face the voters in November on the Cook County retention ballot. Any judge who fails to secure a 60% favorable vote will be removed from office -- but no Cook County judge has lost a retention election since 1990. Historically, the most highly regarded judges get the most favorable votes when the retention votes are counted. It is therefore safe to predict that, even if one or more judges are removed from office via the retention ballot this year, the voters will choose to keep the vast majority of jurists, including the most highly regarded ones. Twenty years ago, however, the Supreme Court recalled a judge who lost a retention vote back to judicial service. There was an outcry, at the time, from several of the bar associations, the Chicago Council of Lawyers in particular. Because no Cook County Circuit Court judge has lost a retention election since 1990 (and because I have no inside information whatsoever) I can present this only as speculation on my part; however -- unless something truly unforeseen happens on the retention ballot -- it is probably safe to predict that the Supreme Court will not recall any jurist turned out of office in that election to the bench. Judge Michael Ian Bender lost his bid to hold the "A" vacancy in the 9th Judicial Subcircuit in this year's primary election, but the Illinois Supreme Court will recall Judge Bender to service December 6, 2010. The Illinois Supreme Court appointed Judge Pamela M. Leeming to the countywide McCarthy vacancy after she'd filed to run in the 11th Subcircuit in this year's primary. Judge Leeming lost her primary bid and the McCarthy vacancy will be filled by either Democrat Daniel J. Gallagher or Republican Maureen Masterson Pulia, depending on the outcome of next month's voting. However, the Illinois Supreme Court will also recall Judge Leeming to service December 6, 2010. Judge Nicholas Geanopoulos did not run for election this year. Geanopoulos had been appointed by the Illinois Supreme Court to fill the countywide Bronstein vacancy (that Terry MacCarthy will fill after his uncontested November election). Geanopoulos, however, has also been recalled to service effective December 6. The recall appointments of Judges Bender, Leeming and Geanopoulos are effective through November 30, 2013. In its October 15 recall order, the Illinois Supreme Court also recalled Cook County Circuit Judges Curtis Heaston and Charles R. Winkler for an additional year's service, through November 30, 2011. Associate Judge John B. Grogan has also been recalled through November 30, 2011. The court also extended the recall appointment of Judge Sheldon A. Harris through November 30, 2013. The Illinois Supreme Court has announced that James L. Kaplan has been appointed to the 8th Subcircuit vacancy that will be created by the retirement of Cook County Circuit Court Judge Melvin J. Cole. Kaplan is currently of counsel to the Law Offices of Sheldon Sorosky, Ltd. (f/k/a Kaplan & Sorosky, Ltd.). A 1971 graduate of the Chicago-Kent College of Law, Kaplan serves on the school's Board of Overseers. Kaplan was a member of the Illinois Board of Higher Education from 1999 until early 2007. He was IBHE Chairman from 2003 until the time of his resignation. He has also served as a Judge of the Illinois Court of Claims. Kaplan's appointment is effective December 6 and will terminate December 3, 2012. Reddick's appointment is effective December 6 and will terminate December 3, 2012. An Illinois attorney since 1991, Reddick is among the adjunct faculty members of the Center for Advocacy and Dispute Resolution at John Marshall Law School. Per email received, Mary Susan Trew has been appointed to a 9th Subcircuit vacancy on the Circuit Court of Cook County. Trew will fill the vacancy created by the 'retirement' of the Judge James R. Epstein ('retirement' being set out in quotes because Judge Epstein will take office as a justice of the Appellate Court in December). Trew's appointment is effective November 22 and will terminate December 3, 2012. Trew was a candidate for the "A" vacancy in the 9th Subcircuit in the 2010 primary. Although unsuccessful in that effort, Trew won the endorsement of the Chicago Sun-Times as well as favorable recommendations from each of the evaluating bar associations in the course of the campaign. Trew is currently the Executive Director of the Domestic Violence Legal Clinic of Chicago. The Illinois Supreme Court appointed Kevin W. Moran to the Cook County Circuit Court this week. Horan will fill the vacancy in the Fourth Judicial Subcircuit created by the October 31 retirement of Judge Daniel A. Riley. Horan's appointment is effective November 1 and will terminate on December 3, 2012. Horan is currently a partner with Rock Fusco LLC. An attorney since 1979, Horan is a graduate of the DePaul University School of Law. His did his undergraduate work at Marquette. Horan has been active in the Celtic Legal Society of Chicago and has served as an officer of the organization. Judges running for retention have no opponents. Voters are asked merely whether each judge should be retained in office. A number of new judges will, technically, be elected in Cook County in November but, since all but one of these races is unopposed, the election is a mere formality. 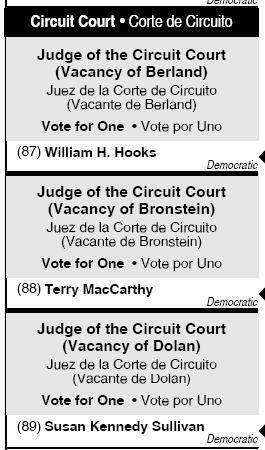 The one contested judicial race in Cook County is for the McCarthy vacancy. In this race, Republican Maureen Masterson Pulia will face Democrat Daniel J. Gallagher. Maureen Masterson Pulia is "Qualified" for the office of Circuit Court Judge. Ms. Pulia was admitted to practice law in Illinois in 1994 and serves as an Arbitrator for the Illinois Workers’ Compensation Commission. Ms. Pulia is noted for her fine temperament and possesses all the requisite experience to serve as a Circuit Court Judge. Maureen Pulia was admitted to practice in 1984. From 2003 to present, she has been an Arbitrator with the Illinois Workers Compensation Commission. From 1997 to 2003 she was Senior Public Service Administrator and Staff Attorney for the Illinois Workers Compensation Commission. Ms. Pulia is reported to have good legal ability and temperament. The Council is concerned, however, that her practice has been narrow and that she lacks sufficient litigation experience as a practitioner in complex matters. The Council finds her Not Qualified to serve in the Circuit Court. Daniel J. Gallagher is “Qualified” for the office of Circuit Court Judge. Mr. Gallagher was admitted to practice law in Illinois in 1994. Mr. Gallagher serves as an Assistant Cook County Public Defender and is assigned to the Felony Trial Division. Mr. Gallagher is highly regarded by his peers and adversaries for his legal knowledge and ability. He is known as a passionate advocate and must continue to work on appropriate courtroom civility and decorum. He possesses the requisite qualifications to serve as a Circuit Court Judge. Daniel James Gallagher was admitted in 1994. He is currently an Assistant Public Defender (APD) in the Felony Trial Division, and has been in the office since 1996. He was in private practice before becoming an APD. As lead trial counsel he reports taking one civil case and 35 criminal cases to a jury verdict, as well as approximately 20 civil and 100 to criminal cases to a bench verdict. Mr. Gallagher is reported to be a diligent, fair, and zealous advocate. He is praised as being well prepared with a professional demeanor. The Council finds him Qualified for the Circuit Court. Gallagher was endorsed for this vacancy by the Chicago Tribune in its October 9 editions. This post will be updated as additional endorsements become available. If you are visiting here for the first time, motivated by pending civic duty, it is my sad duty to inform you that it is already too late to choose new Cook County Circuit Court judges. With one exception, all of these were elected in the February primary. The February Democratic primary. Cook County voters taking Republican ballots, or Green Party ballots in the primary were effectively disenfranchised, at least in so far as electing judges was concerned. 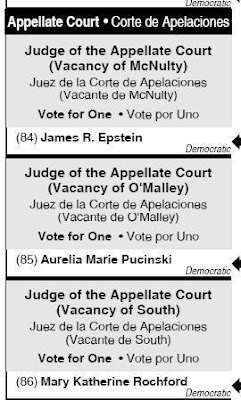 Scan down the sample ballot below and you'll see there is only one contested countywide judicial race in Cook County (and none in any of the subcircuits). That one contested countywide race will be covered here tomorrow. There is also the lengthy retention ballot to consider. There have been a number of posts here covering the retention ballot; there will be more as November approaches. For updates on ICJL questionnaire responses, or to see responses provided by judges running for retention in other parts of Illinois, visit IllinoisJudges.net. The Chicago Bar Association hosted a CLE presentation on judicial selection Tuesday afternoon. The seminar was widely publicized, both because of its unique pricing (it was free -- something that I certainly appreciated) and because it was jointly sponsored by the CBA, the Illinois State Bar Association, the Women's Bar Association of Illinois and the Cook County Bar Association. There was some lively, if skeptical, conversation on the ISBA Listserv in anticipation of the event. Wrote one commenter, "Call me crazy, but I predict [the seminar] will be an unalloyed endorsement of appointment, because as we all know, in Illinois the political class can be trusted to do the right thing." Well, there were a few highly partisan advocates of merit selection among the presenters, and former State Senator and State Comptroller Dawn Clark Netsch opened the proceedings with a historical perspective on judicial reform in Illinois generally and on the struggle for merit selection in particular. Professor Netsch made no secret of her support for merit selection of judges. She made a few observations about just how our present system works. Netsch said that a main argument of election proponents is that the people should not be deprived of their right to vote yet, according to Netsch, 41% of trial judges are associate judges, judges who are essentially appointed, not elected. (Technically, associate judges are elected by the sitting judges in their circuits). Moreover, Netsch said, many other judges are initially appointed to the bench to fill vacancies and have the advantage of incumbency in seeking election. And while people may say they want to vote for judges, Netsch said, the fact is that many do not. There's a "roll off" or "fall off" of voters as they work down the ballot -- nationwide, she said, as many as one-third of the voters who start a ballot do not vote in judicial elections. In the 2000 Illinois primary, Netsch said, there was a 50% dropoff between the top of the ballot to the judicial races. Netsch cited her concerns about the way Illinois selects its judges. Money plays and increasing role, she said, in judicial races. Illinois is now the leading state in judicial campaign spending. Also, Netsch said, judicial races are increasingly partisan. As many subsequent speakers would echo, Professor Netsch argued that judicial races should not be the same as elections for the legislature or the county sheriff. Finally, she said, there has been a change in the public perception of the judiciary. Public belief in judicial independence and integrity is dwindling. Merit selection, Netsch said, is needed to restore confidence in courts. However, the seminar was neither an infomercial nor a pep rally for merit selection. Two panels followed Professor Netsch's opening remarks. Cook County Commissioner (and the CBA's Springfield lobbyist) Larry Suffredin moderated a group of legislators who addressed judicial selection options from the standpoint of practical politics. House Majority Leader Barbara Flynn Currie (D-25) was the most vocal advocate of merit selection in this group (though Rep. Elaine Nekritz (D-57) said she supports merit selection in "whatever form") but Rep. Currie emphasized that her support for merit selection over judicial election stems from a belief that the former would better guarantee the independence, impartiality and competence of the judiciary. State Sen. Kirk Dillard (R-24) voiced skepticism about merit selection proposals, the first of several speakers to question "who picks the pickers?" Every merit selection proposal depends on a nominating commission of some sort. Who would serve on the commission? How would these people be selected? Sen. Dillard agreed there is legitimate concern about the increasing role that money plays in judicial elections. He's supported public financing of judicial elections and would favor proposals requiring lawyers to have 10 years' minimum experience before taking the bench. State Sen. Kwame Raoul (D-13) acknowledged that no merit selection proposal can "de-politicize" the judicial selection process. Like Sen. Dillard, he would support a minimum experience requirement for lawyers aspiring to the bench. Assistant Senate Majority Leader Don Harmon (D-39) also expressed support for a 10 year minimum experience requirement. Harmon acknowledged that there is wide support for improving the quality of the judiciary -- but broad disagreement as to what a "better" judiciary would look like. Sen. Harmon expressed reservations about merit selection and pointed to the recent election in his home subcircuit (Cook County's 11th Judicial Subcircuit) as an illustration of the election process working well, with the highest rated candidates garnering the most votes. State Senate Deputy Minority Leader Dale A. Righter (R-55) provided a Downstater's perspective. While he's supported public financing for judicial elections, he's skeptical of any proposal that removes power from the voters. Sen. Righter expressed concern about the 10-year minimum experience level as well. Righter, who hails from Mattoon, pointed out that, in some Downstate counties, there may be only a handful of attorneys. Imposing a 10-year limit, however sensible that may seem in a crowded metropolitan area, may seriously diminish the pool of available judicial candidates in some areas. As for merit selection, Sen. Righter noted that if either an elective or appointive process can be improperly influenced, he and his constituents would rather stick with an elective system. At least we'd have a chance this way, he said. The second panel (shown above in a photo obtained from the Chicago Daily Law Bulletin website - subscription required) was moderated by Law Bulletin editor Olivia Clarke (who also edits the Chicago Lawyer). Retired Illinois Appellate Court Justice Gino DiVito was the most enthusiastic proponent of merit selection in this group though he warned seminar attendees that he has an article in an upcoming issue of the Illinois Bar Journal which makes a case for the non-partisan election of judges. This should not be construed as an "abandonment" of his support for merit selection, however. Current Appellate Court Justice Joy V. Cunningham noted that she has attained judicial office both by appointment and election. She was initially appointed an Associate Judge of the Circuit Court of Cook County, later seeking election to the Appellate Court. She said she was a beneficiary of both systems and can see arguments on both sides of the issue. Personally, though, she said, she comes down on the side of merit selection. Cook County Circuit Court Judge Michael B. Hyman, a former CBA President, and just elected to the bench in 2008, also expressed his support for merit selection. Proponents of judicial election are laboring under three illusions, Hyman said. First, though judges may be elected, judicial elections should not be conducted like any other election for public office. Second, campaign contributions in judicial races are not like those in any other race: Campaign contributions in judicial races come from a very narrow base of contributors. And the third illusion, Hyman said, is that voters know as much about judicial candidates as any other. He offered a challenge to proponents of judicial election: Stop any random group of people in the street. Judge Hyman was quite positive that the vast majority of these would be able to name one or more judges on American Idol before ever being able to come up with the name of justice of the Illinois Supreme Court. Retired Appellate Court Justice William Cousins, Jr. argued that judicial election is democratic and results in a more diverse judiciary. He pointed out that our elected bench compares favorably with their appointed counterparts in other states, citing the William H. Rehnquist Award for Judicial Excellence bestowed last year by the National Center for State Courts on Cook County Chief Judge Timothy C. Evans. John Marshall Law School Professor Ann Lousin suggested that the merit selection vs. judicial election debate will soon be over because, she said, judicial elections as we know them are doomed to extinction within 10 years because of a trio of Supreme Court cases, Republican Party of Minnesota v. White, Caperton v. A.T. Massey Coal Co., and Citizens United v. Federal Election Commission. We'll have to wait a decade to see if Professor Lousin's prediction comes true; in the meantime, the merit selection vs. judicial election debate is likely to continue. Cook County Circuit Court Judge Maureen E. Connors has been assigned by the Illinois Supreme Court to the Appellate Court. Maureen Leahy Delehanty was appointed to the vacancy created by the retirement of Judge Ronald C. Riley last November. However, Judge Delehanty did not seek election to that seat and her appointment was set to expire in December (when Sandra Ramos takes office). But the Illinois Supreme Court has now appointed Judge Delehanty to a different vacancy, this time to the 3rd Subcircuit vacancy created by the recent retirement of Judge Patrick E. McGann. This appointment is effective today and will expire on December 3, 2012. Judge Delehanty filed for the Donnersberger vacancy in the 3rd Subcircuit for the 2008 primary but withdrew in December 2007, allowing Judge Patrick J. Sherlock to hold that seat by default. The Cook County Retention Judges own website is available as well. Information on some (but not all) of the retention judges can be accessed at that site (depending on whether the judge has provided information for posting). And there is more: Responses to questionnaires promulgated by the Illinois Civil Justice League are expected to be available later this week at IllinoisJudges.net.